KIEV, Ukraine -- Ten opposition parties in the Ukrainian parliament have condemned a court decision which strengthens President Viktor Yanukovich's control over the country by returning him key presidential powers lost to parliament in 2004. Last Friday, a landmark ruling by Ukraine's Constitutional Court buried changes to Ukrainian law, made during the Orange Revolution in December 2004, that restrict the president's power. Viktor Yanukovich, the pro-Moscow president elected in February, now has the right to choose his own government and rule in a presidential republic similar to Russia's, rather than in a parliamentary one. As the changes were adopted, tens of thousands of people protested in the streets of Kyiv, accusing Yanukovich of building a dictatorship. According to observers, press freedom has declined sharply in Ukraine since Yanukovich assumed power. Reuters quoted analysts who said that the ruling was bad news for potential foreign investors in the cash-strapped economy. 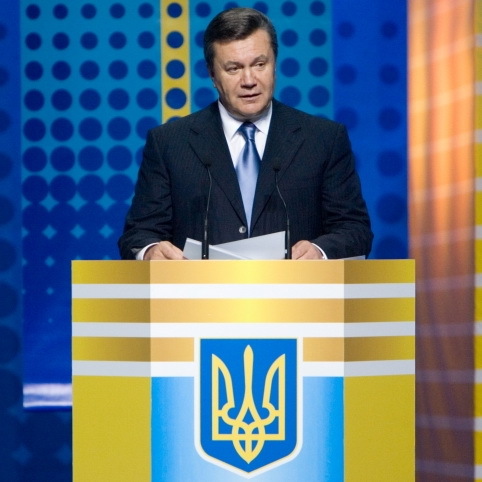 Addressing the nation, Yanukovich indicated he would now take steps – possibly by referendum – to mould a new constitution to fit the presidential republic model. On Tuesday, the ten main opposition parties called for early presidential elections to be held in March 2011, and asked for the Constitutional Court be dismissed, according to reports in the Ukrainian press. Oleksandr Yefremov, leader of Yanukovich's Regions Party, described as "unacceptable" the opposition's calls to establish a temporary investigative commission on the Constitutional Court ruling cancelling the 2004 political reform. According to information obtained by EurActiv, the centre-right European People's Party (EPP) in the European Parliament has initiated a motion for a resolution condemning Ukraine's return to "an authoritarian regime". EurActiv also learned that Kyiv was making an unprecedented effort to lobby against such a motion, arguing that Ukraine under Yanukovich was in fact the stable partner that the EU needs at its gates. Ukrainian Prime Minister Mykola Azarov is due to visit Brussels on 13 October. Yesterday (6 October), the Ukrainian Parliament rejected a motion introduced by Mykola Katerynchuk of the opposition People's Self-Defense Blok (NUNS) that the country should apply for EU membership. Out of the 302 MPs present, only 61 voted for the proposal. In his motion, Katerynchuk proposed to establish that European integration, dynamic development and deepening cooperation with the EU, leading eventually to full membership, should be Ukraine's top foreign policy priority. The Russian press in particular highlighted the vote with titles such as "Ukrainian MPs vote against EU membership".